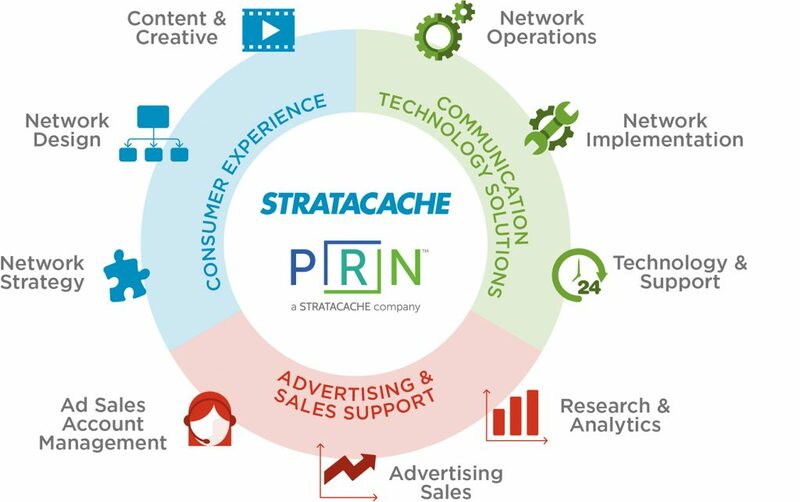 STRATACACHE increases customer engagement at the point of purchase with interactive digital media. STRATACACHE is a provider of high-impact, responsive digital merchandising solutions. We deliver interactive experiences and information where it matters the most — in-store, where purchasing decisions are being made. From the store exterior through checkout, STRATACACHE provides solutions that activate shoppers and position retailers for success. By leveraging STRATACACHE‘s robust ActiVia for Media software platform, retailers can grab the attention of potential customers, drive traffic and boost sales. STRATACACHE has everything needed for successful, scalable and interactive customer experiences. STRATACACHE helps you win this trip and earn the next one with customized monetization solutions powered by PRN. By pulling together our communications platforms, shopper insights, content services and experienced ad sales team — we can help retailers develop in-store solutions and experiences that activate shoppers and position retailers and brands for success. With financial models tailored to your retail strategy and business, we help drive ROI for all your digital signage platforms. Provide a unique shopping experience with STRATACACHE’s all-in-one intelligent aisle tablets to drive conversion and increase sales. The small format, fully integrated touch, camera and mobile interaction allows stores to provide engaging product information, simplified buying and faster customer service. STRATACACHE is changing the traditional shopping experience by extending the shopper journey outside the physical store. Our mobile engagement solutions provide sophisticated consumer interaction through the use of Mobile Applications, SMS, Point-of-Sale, email, in-store Wi-Fi and beacons. We allow brands and retailers to engage in one on one interactions and increase conversions by connecting with consumers before, during and after the store visit. Meeting the demands of digitally-savvy consumers has never been easier with tablet based Assisted Selling. Assisted Selling empowers sales associates, allows for upsell opportunities and improves the overall shopping experience by providing instant access to product demonstrations, promotions, look books, inventory and transactions. 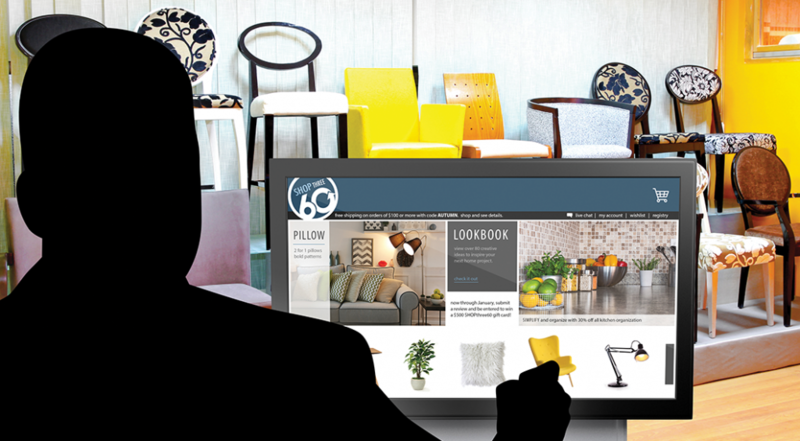 Today’s connected consumers view merchandise across all channels in-store — from browsing mobile catalogs, to ordering on kiosks and completing sales transactions on tablets. However, the advantages of providing in-store access to online marketing, media and sales material is lost if the customer’s browsing experience is slow or unreliable. Easily enhance the customer experience by delivering the most bandwidth-intensive content to all of your customers simultaneously with Retail Content Acceleration Engines. 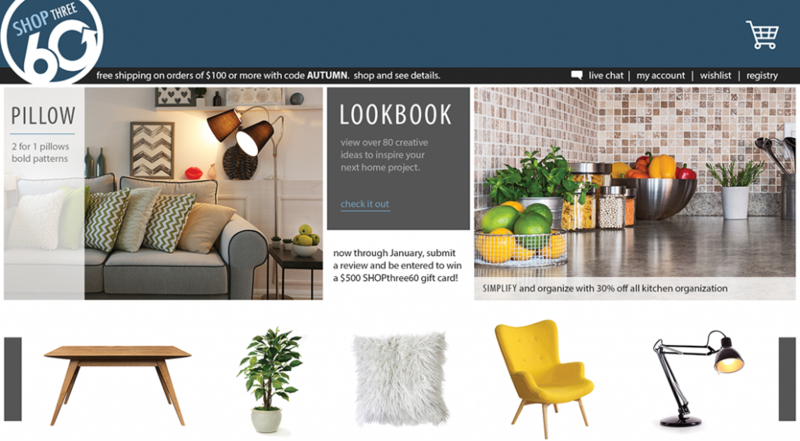 Make the most of interactive, promotional displays to fully connect with customers through Responsive Merchandising. The idea is simple—when a shopper picks up content, the system (configured with sensors), identifies what has been moved, and displays relevant product information on an in-store screen. 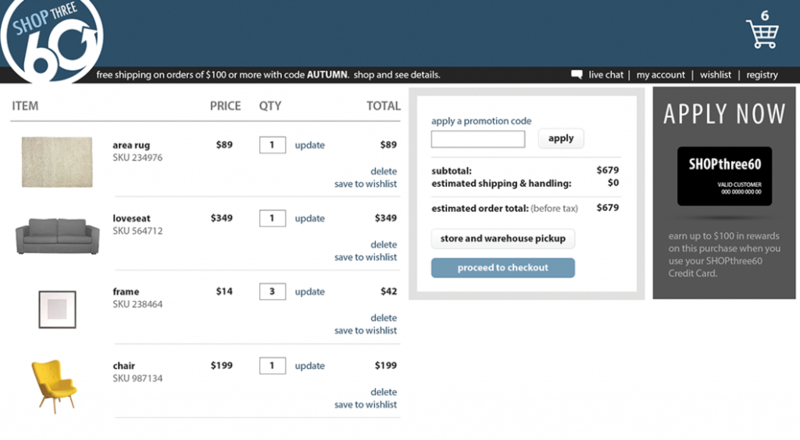 Responsive Merchandising easily allows complex data or marketing messages to be displayed on cue. With our Advanced 4K Video Walls, retailers and brands can captivate consumers with more rich and powerful in-store digital experiences. With no limitations on shape or size, retailers can create maximum visual impact using dynamic or gestural walls that allow for a more compelling shopper experience. The key to increasing retail sales potential is understanding shopper behavior. When you understand how consumers are engaging with your store, you can drive more relevant, more personalized communications, turning shoppers into loyal customers. STRATACACHE’s shopper analytic solutions leverage in-store technologies such as, interactive screens, Wi-Fi, beacons, cameras and sensors that can drive powerful insights about your customers and marketing programs. STRATACACHE digital signage hardware, software and IP Video help retailers communicate sales and product training to employees or share CEO spotlights and special events with customers using interactive distance learning or live and on-demand video. Effectively align messaging and engage employees by delivering an effective internal communications platform. STRATACACHE’s PrimaSee is a translucent digital display that showcases high-definition, full-motion video embedded within a freezer or cooler door’s glass panel or glass fixture. Drive store revenue by transforming existing freezer or cooler doors into dynamic digital signage, motivating shoppers through the path to purchase.